If you love ancient Egypt but have just limited time in Cairo, this is the tour for you. Traveling in style with a private Egyptologist guide, you’ll visit Cairo’s three greatest ancient sites—the Pyramids of Giza, Saqqara (Sakkara), and Memphis—all in one day. Tour includes lunch, entrance fees, and hotel pickup and drop-off—plus the opportunity to customize your day to suit your interests. 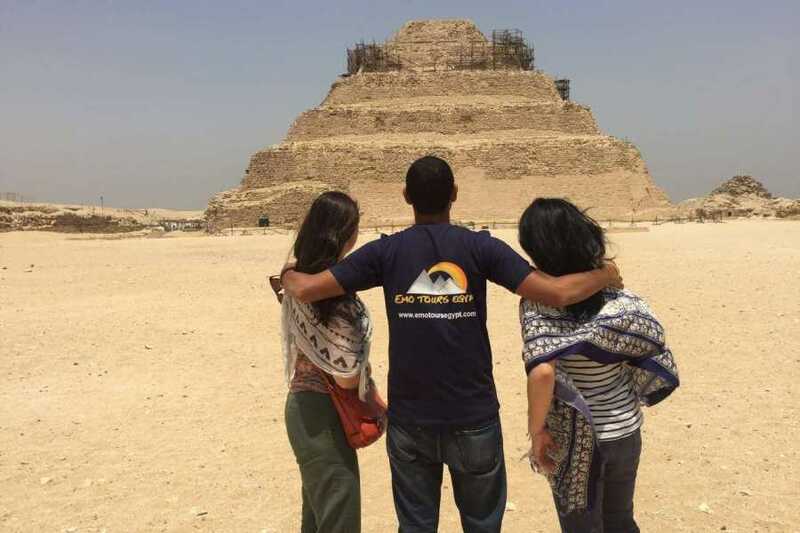 After your private Egyptologist guide collects you from your hotel, you’ll start the day at the Pyramids of Giza, a UNESCO World Heritage Site that’s home not only to the three Great Pyramids but to the Great Sphinx and the Valley Temple. Your guide will explain the meaning and significance of this 4,500-year-old site and answer any questions you may have. 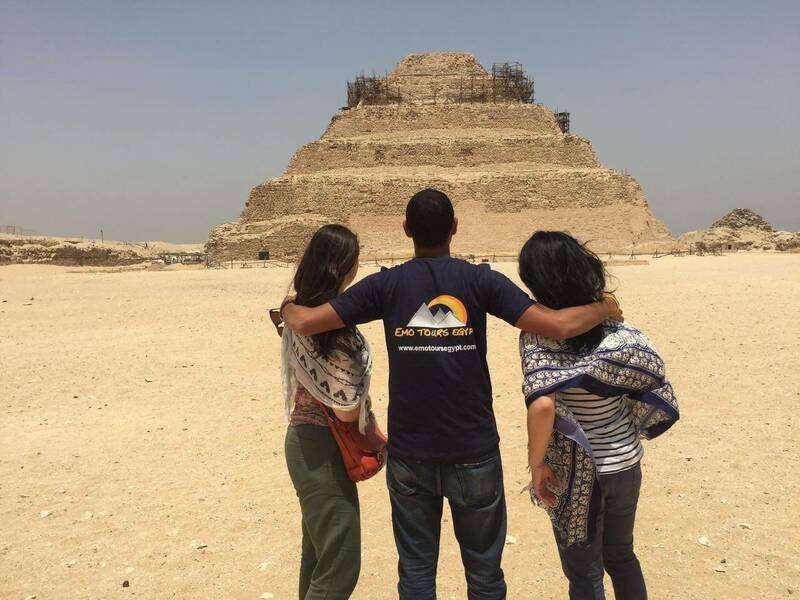 After lunch at a local restaurant, hop into your air-conditioned vehicle to explore Saqqara (Sakkara), the UNESCO-listed city of the dead that’s home to the Step Pyramid and the Tombs of the Nobles. Next, continue to Memphis, once the capital of Egypt, with a history dating back more than 5,000 years. The standout here is the colossal statue of Ramesses II. Wrap up the day with a transfer back to your hotel.